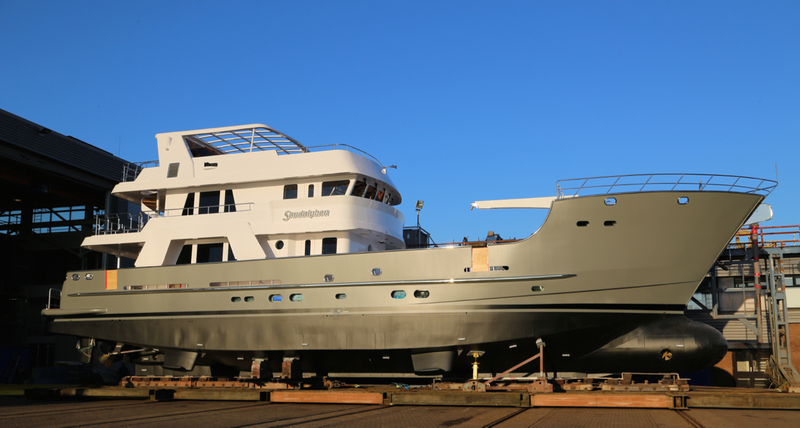 In 2015 an expedition yacht known as Sandalphon (also called Project Gisele) came to Balk Shipyard for an extensive rebuild. According to Balk Shipyard this was not a typical refit project, Sandalphon was stripped down to bare steel and rebuilt from the ground up. An inspection by Azure Naval Architects revealed that Sandalphon needed a several meter extension in order to perform at full potential from a balance perspective. Project Gisele, also known as Sandalphon, in the rebuild process at Balk Shipyard. Project Gisele came out as a smashing success. 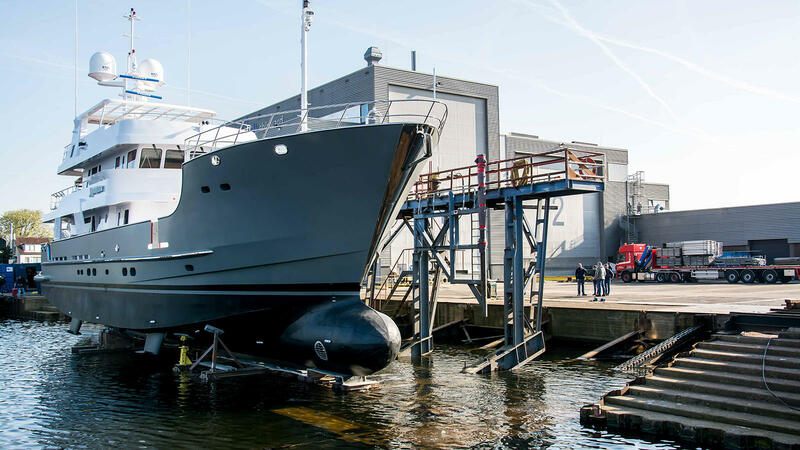 Ultimately she was lengthened to 31 meters and every single area on board was examined and modified as necessary in collaboration with Azure Naval Architects. The interior layout includes four staterooms with accommodations for eight and additional staterooms for up to four crew members. Sandalphon is powered by twin Caterpillar engines that allow a top speed of 12 knots with a comfortable long-range cruising speed of 9.5 knots. The successful finished product. Sandalphon being launched at Balk Shipyard. Sandalphon’s final delivery is expected for early summer following extensive sea trials and final commissioning.